I have a hunch about what’s helped keep Argo’s awards slowly, stubbornly piling up inside Hollywood: Benghazi and its seemingly interminable fallout. Argo opened one month and a day after that murderous attack. It was a month that reshaped what we knew about the realities of “diplomacy” when, in the presence of the President and the Secretary of State, the bodies of our Ambassador to Libya and three men who tried to save him were returned to their families and to a largely uncomprehending country. And as we began to think about what it is that diplomats do, Argo arrived to show us. It was deadly-real and it was Hollywood-real; it had the look of newsreel footage and a grand, bogus bigger-than-life finale, and at its core were six, human, identifiable characters – diplomats all. 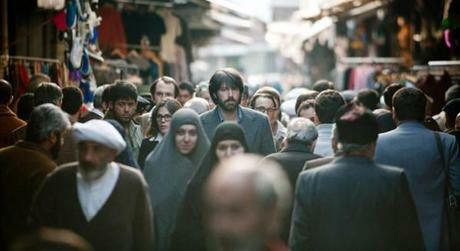 At its most deadly serious, Argo was sound for sound, action for action, what happens when an American embassy (consulate, mission) is overrun in a decidedly unfriendly country. Even when Benghazi became political attack fodder, Argo’s resonance of resilience under fire lingered.